Even before it became possessed by the spirit of a deranged serial killer, the Good Guy doll from Child’s Play was already unsettling. 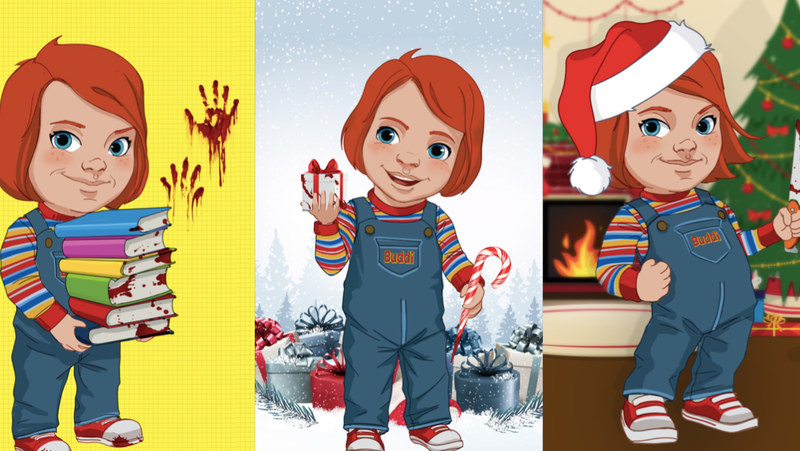 But that hasn’t stopped Orion Pictures from trying to capitalize on the franchise’s success in anticipation of the studio’s upcoming Child’s Play reboot...with an actual Chucky doll. Or at least an ad for one. “We at Kaslan take great pride in our unwavering focus to revolutionize technology in ways that positively impact the lives of friends across the world. In the original Child’s Play movie and its subsequent sequels, it was always black magic that bound Charles Lee Ray’s soul to the doll—making it possible for him to keep coming back to life no matter how much damage his victims inflicted on his rubber-and-plastic form. Magic’s still probably going to be a big part of the reboot, but when you consider that the Buddi dolls are now wifi-enabled, it stands to reason that, by the end of the film, Chucky’ll make his escape through someone’s router before finding his way into yet another doll. Unfortunately, it doesn’t seem as if these Buddi dolls are actually being produced, meaning that you probably won’t be able to buy one to give to any bratty children in your life who just might benefit from being scared senseless. That said, we can still hope these cursed objects will hit shelves in time for Child’s Play’s release on June 21.